Just a few of many more choices! On the left are a few examples of the machines I typically have for sale. 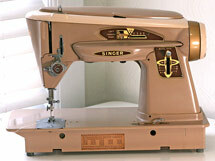 The majority of them are heirloom-quality vintage machines that have been carefully refurbished. They just don't make 'em like this any more! Very, very rarely, I might have one of those newer plastic machines (see note below), but you can buy a new one for around $100 at one of the big box stores, so why would you want a used one? new parts installation when necessary to bring the machine up to like-new sewing condition and insure your personal safety and ease of operation. 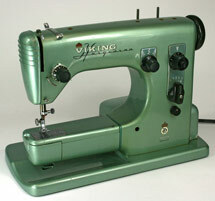 upper and lower tension calibration to your sewing needs. And because I also enjoy using these machines and am a very experienced sewer, I always try to use the machine in making a personal project… that’s part of the fun I get from refurbishing these great older machines! All machines are also checked over one more time before they leave my shop just to insure I didn’t miss anything and to insure your sewing experience is trouble free. 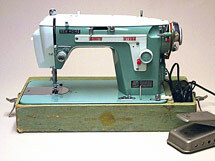 Prices typically start at around $125 and top out at around $1,000 depending on the particular machine – brand, model, overall condition and included accessories. 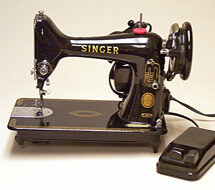 Please contact me if you are in the market to purchase a fine used sewing machine. What Machine Should I Buy? There's a class for that! - or the countless features (bells and whistles) that are available on various machines. 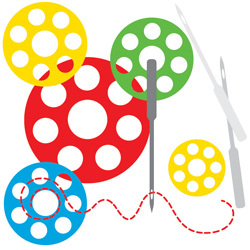 This informative session will arm you with the knowledge and confidence to select the best machine that fits your personality and sewing needs… no matter where you purchase your machine. Should you purchase a machine from me within three days of the mentoring session, the cost of the session is fully credited toward your purchase. 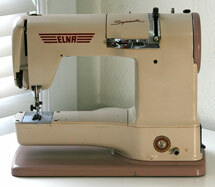 My Experiences with Mass-Market Discount Store Sewing Machines and why I don't repair them. Once in a while a customer brings in one of those inexpensive plastic machines for service or repair. Because they spent only $100 when they bought it new, they often think that any service or repairs it might need will not cost very much. WRONG! In fact, many of the inexpensive, big-box-store machines may cost more to service and repair because of their poor design, cheap materials and weak mechanical parts. I hope you will understand that past experience has taught me to usually avoid working on them. I do know these machines have their place, for those who don’t do a lot of sewing or don’t have expectations of performing quality, intricate work, or don’t ever need to hem a pair of blue jeans, or bequeath the machine on to future generations, or be able to buy parts for it, or maintain its tension properly, or have an enjoyable sewing experience free of frustration, or…. or….or…. I think you get my point. For some folks, this is all they need and expect from a machine, so a $99 plastic unit serves them well…… for a while. I just don't recommend them. And, based on experience, it may be nearly impossible to repair one to a customer's total satisfaction.